Nothing feels quite as good as leaving the gym with barely enough energy to make it back to your couch. The quest for fitness doesn’t end in the gym, however. There are easy habits you can adopt in your day-to-day life that will increase the impact of your workouts. 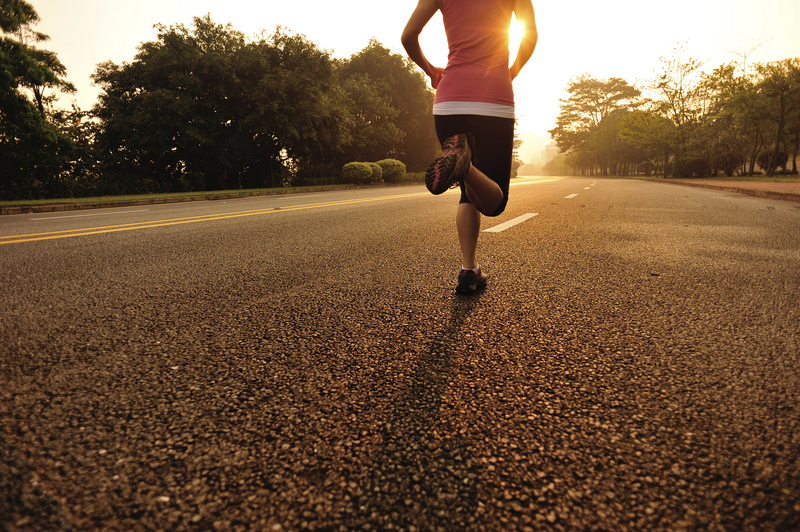 Here are a few ideas for making your workouts go the extra mile. When you’ve been drinking water your whole life, it’s easy to become complacent with your intake. Drinking water regularly is a huge boon for your metabolism, which in turn has a big impact on the way your body handles food and exercise. As soon as you wake up, aim to drink a tall glass of water. This will kickstart your metabolism for the day, help your kidneys clear toxins, and refresh brain tissue. You’ll be able to process food better and be more energized for workouts. Continuing to stay hydrated throughout the day will have a notable impact on workout effectiveness. Research suggests that consuming green tea increases energy expenditure and accelerates fat oxidation. Green tea is antioxidant- and catechin-rich; both of these substances have proven health benefits. Stacking these natural effects with exercise and smart eating can prove massively beneficial for any fitness plan. Green tea extract also carries these advantages, meaning you can drink the tea or take a supplement on the go. As an added bonus, consuming caffeinated green tea will boost your energy for working out! When looking to slim down, people often cut nuts from their diet due to their high caloric content. Don’t be one of them. Almonds boast an incredible range of nutrients. A handful of the nondescript nuts yields a healthy load of vitamin E, calcium, magnesium, potassium, protein, and fiber. Not only will almonds lend to your fitness, they’ll keep you full for longer so you don’t reverse your progress by binging on snacks. Maybe you’ve had a bad experience with eating before a workout, but chances are you just ate the wrong thing. Eating a small, balanced meal an hour before working out will lend you more energy for when the going gets tough. Eating something like yogurt and fruit, a PB&J, or whole wheat pasta with a lean meat (like chicken) will give you that extra bit of endurance to get the best gains. Just don’t overeat – gorging will have the opposite of the desired effect. Everything’s better with friends, working out included. Not only will working out with a friend make it more enjoyable, but it will also push you to new limits. Running or lifting with a companion will drive you to work out longer and harder. You don’t even have to share a gym membership — something as simple as going on a run can be far more effective with someone at your side. You’ve probably heard sentiments advising against skipping “leg day”. This axiom can be applied to more than just legs, though — getting a comprehensive workout is essential for pushing fitness levels. Over-focusing your workout can result in anatomical imbalances. By taking time to work on your entire body, you hone it piece by piece. This also creates a more aesthetic balance. Nice abs are all the more stunning when framed by toned legs and arms. You don’t have to become a Yogi to enjoy the practice’s many benefits. Adding just 30 minutes a week to your exercise routine helps with balance, flexibility, and toning. Yoga is also great for stretching out any tightness brought on by a rigorous workout routine. Furthermore, it is excellent for honing body control, allowing its practitioners to more effectively control their exercises. All in all, this cultural trend packs its share of health benefits. If you make these minor tweaks, you’ll find your workouts easier and more impactful. It can be hard to find time to work out, but with West Fit Studio only a few doors down, dedicating some time to your fitness is well within reach. Equipped with weights, treadmills, and a yoga studio, West Fit Studio is just one reason West Broad residents always seem to be glowing. Contact us today!